While technical competence is necessary for job success, research suggests emotional intelligence (EQ) – our ability to perceive and manage our own emotions as well as others’ – is even more important. How we adapt to change, face obstacles, and interact with others can make all the difference regardless of tenure or position. In this entertaining and eye-opening presentation, Right Chord Leadership president Dr. Michael Brenner – a professional musician as well as an international leadership consultant -- will demonstrate how to better navigate the unexpected, strengthen our self-confidence, and build resilience during challenging times. But he won't be the only one performing – the audience will get a chance to jam too! Past participants have called this program “unique,” “insightful,” and “very engaging.” Don’t miss it! When people work in harmony, great things happen®! Dr. Michael Brenner, president of Right Chord Leadership, LLC. 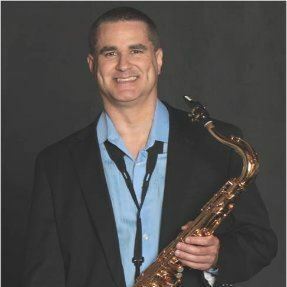 is a professional musician for more than 30 years, and knows that "striking the right chord" means more than playing the right notes at the right time. It means connecting with the audience in a way that moves, inspires, and even transforms people. The same is true in business. When leaders strike the right chord with their teams, the results are unmistakable. Trust skyrockets. Engagement soars. Energy and enthusiasm permeate the culture. And everyone locks into a groove that fuels performance and success.